1993-2001 曾在广东银行工作 Working as a computer engineer in a bank of Guangdong province from 1993-2001. 2001-2007 加拿大移民生活，曾从事外贸行业 Living an immigrant life in Canada from 2001-2007. 2002年8月31日 在美国北卡州葛培理培训中心蒙召全职侍奉主 Being called to serve the Lord vocationally at Billy Graham Training Center (The Cove), Asheville, NC on August 31st, 2002. 2008-2011 芝加哥慕迪神学院进修 MDIV课程 Pursuing the M.Div program in Moody Theological Seminary , Chicago, IL from August 2008- May 2011. 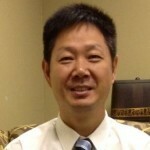 2012-现在 密西西比哈蒂斯堡HCCC 植堂／牧会 Serving as a church planter / pastor in Hattiesburg, MS since 2012. 如果需要我们的帮助，请填写下面信息！if you need any help, please fill the forms below! thank you and God bless you! Hello. I am Zhao xinyi (Chinese,male, single) who is now studying in Orlando university of central florida but I will begin my phd in chemistry in university of southern Mississippi at begin of Aug 2016. I prefer to take direct flight to New Orleans(MSY) because I have to transfer 3 times for flight to Hattiesburg and it much more time and money. I have not got my drive license (still learning) and cannot drive long way. i have also considered long coach but it take much time about 16h. cssa in usm said it can give information of me to someone in usm to pick me up at airport for fee but nothing about finding a living place. could you please help me? In my time in Orlando, most of my friends are in church and they helped me much. Now I believe in god. My church friends said christans can help so I ask you for help help. contact me in tel 4073008421 email 15936283455@126.com thank you.